The state of Wisconsin has once again lived up to its billing as a Midwestern incubator of Big Ideas. In yesterday’s case, when voters resoundingly defeated a liberal effort to recall Governor Scott Walker (R), the Big Idea was that reformers who come armed with the strength of their convictions can carry the day–even against mobs, labor unions, Hollywood, the media, academia and everything else the left throws up these days. All reformers need to do is lead. 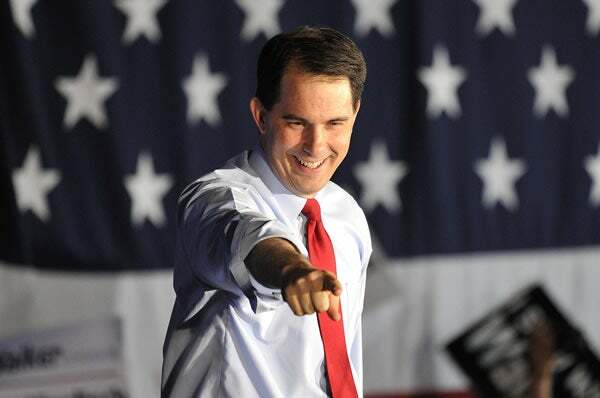 In Walker’s case, his weapon in the fight against out-of-control government was a promise to the voters of Wisconsin that, were he entrusted with their vote, he would bring sweeping reforms to state government. One year ago, Governor Walker fulfilled that promise, and last night the voters rewarded him for his leadership by resoundingly rejecting an effort to remove him from power. Those moderate policies sent labor unions and their allies into full-on crisis mode. Tens of thousands of protesters stormed Wisconsin’s capitol last spring, Democratic state senators fled the state in hopes of blocking a vote on the measures, and lawsuits were filed to block the law from taking effect. Ultimately, Walker’s reforms were upheld, yet a massive effort to recall the governor was undertaken. In short order, a massive campaign to unseat Walker was launched. Unions poured millions of dollars into the race to attack the governor, President Barack Obama weighed in on the eve of the election (albeit timidly, with a Tweet) and endorsed Walker’s opponent, and grassroots armies descended on the state to turn out the vote. Yesterday, the voters of Wisconsin had an opportunity to examine the governor’s reforms and render a verdict on whether they approved of the direction he has taken their state. One of Governor Walker’s reforms included giving government workers the option to choose whether they wanted to pay union dues. When given the option, tens of thousands of members chose to leave the union. And according to exit polls, a third of union households backed Walker. But union leadership remains out of touch with the fiscal crisis Wisconsin, and our nation, faces. Yet as the people of Wisconsin know, Walker’s reforms have helped Wisconsin turn the corner. Since Walker took office, the state unemployment rate has fallen from 7.7 percent to 6.8 percent— well below the national average of 8.2 percent. And last year, Wisconsin employers actually created 23,000 jobs. In other words, Wisconsin’s economy is growing all while the rest of the country faces very troubled economic time. Walker’s victory will send shockwaves across the country. Last year, the governor took a strong stand for the proposition that public sector unions should not negotiate their taxpayer-funded benefits with politicians they helped elect using mandatory dues. And he also stood for reforms that curbed spending and got his state’s budget under control — without raising taxes. Despite facing a recall election, Walker was ultimately rewarded for a job well done. Former President Bill Clinton yesterday said on CNBC that he has “no problem” with extending the 2001 and 2003 tax cuts — a move that President Obama has resisted. On January 1, 2013, the United States will suffer one of the biggest tax hikes in history if Washington does not act. A suicide bomber killed at least 22 civilians and wounded 50 others in southern Afghanistan today. The attack, for which the Taliban claimed credit, hit near Kandahar Air Field NATO air base. Most states still have not recovered from the 2007 recession. A new report shows that only nine states have returned to their pre-recession economic output. Of those states, most are energy producers. City workers in San Jose may have to contribute significantly more to their pensions or to accept more modest benefits. A ballot measure instituting those reforms appears to have won by wide measure. A company that has lobbied for greater federal transportation funding may have overcharged the federal government by millions for a construction contract, according to a recent report by federal watchdogs. Read more about it on The Foundry.